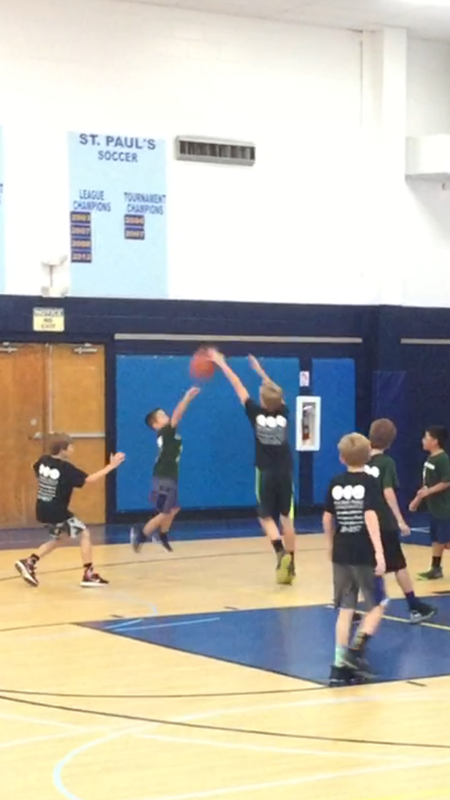 Connor had his last game of the season today with the Beaches Basketball League. It's been a tough season for him and his team. Unlike some of the previous leagues he's been with, this league had a different strategy for putting together the teams and allowed teams that had been together previously to setup their own teams. We didn't know anyone and just put his name in and he was randomly assigned to a team. There were no tryouts, and no balancing to the teams. Although the league had 4th and 5th graders playing together, Connor's team was all 4th graders and they were the smallest and most inexperienced team. They played 8 games and Connor's team only won one. Sadly, Connor wasn't at the game they won. Today, at his last game, Connor tried his hardest. He's improved throughout the year and has been practicing at home quite a bit, but it was all for naught. They lost 4-17. Connor had a few chances to score and unfortunately the ball just didn't drop in for him. The team today was probably the tallest and biggest they played against. There were two fifth graders that were super tall. 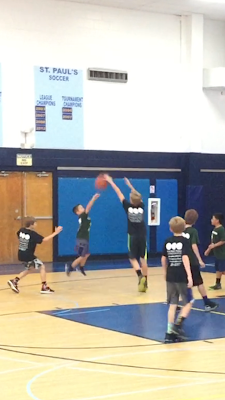 At one point, Connor tried to shoot on the tallest boy. Connor was jumping up and the shot was completely out of his hand. The tall boy was able to stuff him without even having to jump. 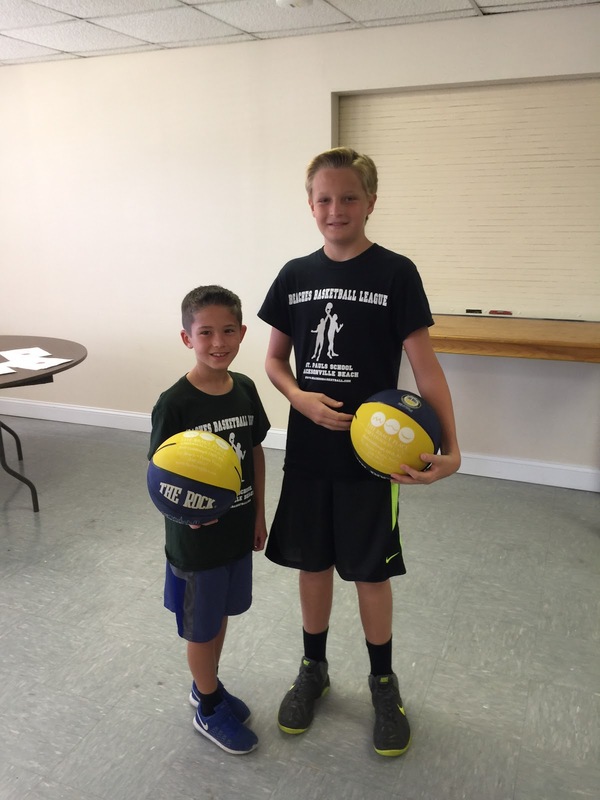 After the game, the kids all got balls to take home. While the team was in the room getting their balls, I took a pic of Connor next to the tall boy. His mom laughed when she saw us taking the pic and she mentioned that her son was projected to be 6'5" when he grew up. Maybe we'll see him in the NBA some day! After the game, I took Connor to Whits and we celebrated with some frozen custard. He's had such a good attitude throughout the season and we are proud of his effort and for working hard. Paige is student of the week!